Carlos Sanchez is a 35-year veteran of the news industry and currently serves as the Politics & News Editor for Texas Monthly magazine. He has also served as executive editor for the (McAllen) Monitor as well as the Waco Tribune-Herald. 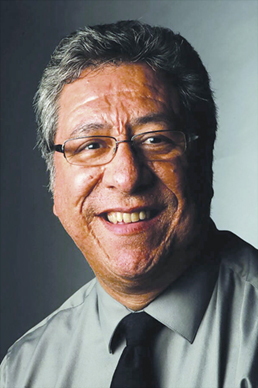 Sanchez began his career with the (Fort Collins) Coloradoan newspaper and in short order worked as a reporter for the El Paso Herald-Post and the Austin American-Statesman before becoming a staff writer for The Washington Post. While at the Post, Sanchez covered the night police beat during that city’s crack cocaine epidemic and was involved in the coverage of the Reagan-Gorbachev summit in Washington; the Mount Pleasant riots of 1991; the Los Angeles riots of 1992. He is also the first reporter to interview Lorena Bobbitt. Sanchez helped in the coverage of the presidential inaugurations of George H.W. Bush; Bill Clinton and George W. Bush. He returned to Texas in 1994, working for the Fort Worth Star-Telegram before entering management by returning to the Austin American-Statesman, where he helped direct coverage of the presidential election of George W. Bush for the Cox newspaper chain. Sanchez joined Texas Monthly in March of this year. He is married to journalist Sandra Sanchez and is the father of three children and three dogs. Author. Entrepreneur. CEO. Wife. Mom. Biker. Elise is an accomplished strategic communications professional and business leader whose entrepreneurial spirit helped build Mitchell from scratch into one of the top 10 fastest-growing firms globally, a two-time Agency of the Year winner and Inc. 500/5000 Fastest Growing Company. The company’s client portfolio includes well-known brands such as: Walmart, Procter & Gamble, Hilton Worldwide, Kraft, Del Monte, Canon, Merck and others. Under her leadership the company grew more than 500% in five years. 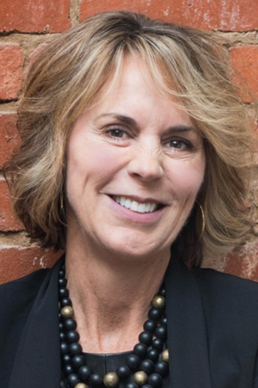 In recognition of her accomplishments, Elise has received numerous national awards including Agency Professional of the Year, Entrepreneur of the Year, and a Top 50 Power Player. At the end of 2012, Elise sold Mitchell, and today it is the leading PR agency brand in the world’s fastest growing marketing communications companies, Dentsu Aegis Network. In addition to her role at Mitchell, Elise is leading efforts to build a global PR brand for the network. Prior to founding Mitchell, Elise worked on both the agency and corporate sides of the business serving as the top public relations executive for Promus Hotel Corporation and holding various leadership roles at three advertising and public relations agencies. Evan Smith is CEO and co-founder of The Texas Tribune, a nonprofit, nonpartisan digital news organization recently called “one of the nonprofit news sector’s runaway success stories.” The Tribune's deep coverage of Texas politics and public policy can be found at its website, texastribune.org, in newspapers and on TV and radio stations across the state, and in the print and online editions of the Washington Post. Since its launch in 2009, the Tribune has won international acclaim and numerous honors, including nine national Edward R. Murrow Awards from the Radio Television Digital News Association and six awards from the Online News Association. 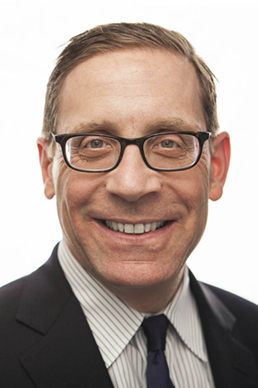 Previously Evan spent nearly 18 years at Texas Monthly, including eight years as Editor and a year as President and Editor-in-Chief.